The other day I was perusing my Instagram when I came upon a curious hashtag... #OnePotPasta. Intrigued, I investigated further and discovered a whole world that was previously unbeknownst to me. How was it possible, I asked myself, to cook pasta with all of the ingredients in one single pot? More importantly, was it worth it? The pictures were colorful and inviting, and the trend, having been started by my hero Martha Stewart, couldn't possibly be bad. Or could it? It was hard to find the after pics, because, unfortunately, no one wants to post pictures of a hot soggy mess. Even Martha's own dish looked just okay. Part of what turned me off the original recipe, which calls for cherry tomatoes and basil, is the fact that those ingredients taste so great uncooked, why even bother throwing them into boiling water? 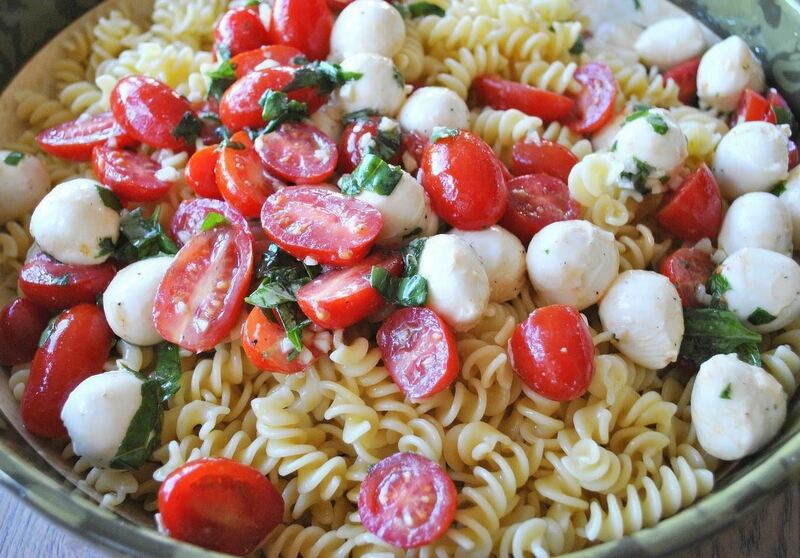 Aren't you better off just adding properly cooked pasta to a bowl of tomatoes, basil, and mozzarella as seen in this delectable summer pasta? To be fair, I'm a pasta purist. I like my pasta al dente, and the only place I like extra starch is on my bedsheets. 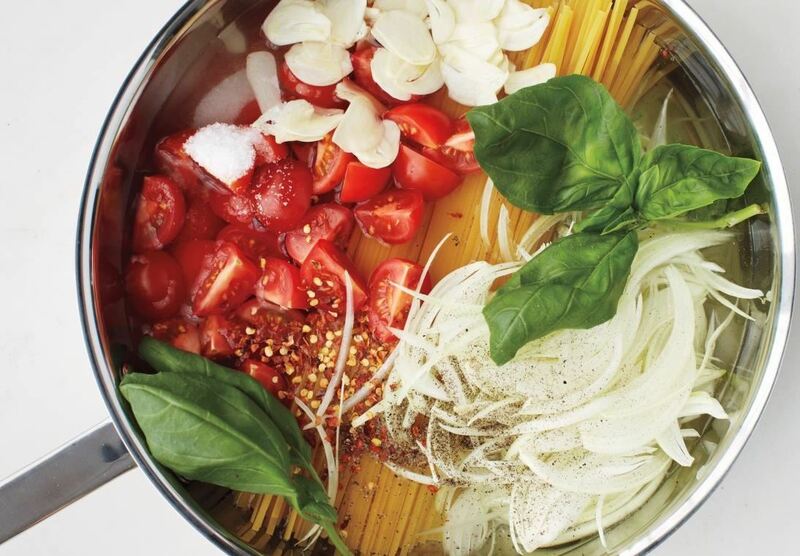 But the idea of cooking a quick weeknight pasta meal in one pot in twenty minutes is way too appealing, so I experimented with my own version and discovered a few hacks that can make that one-pot pasta appeal to even the snobbiest pasta lovers. 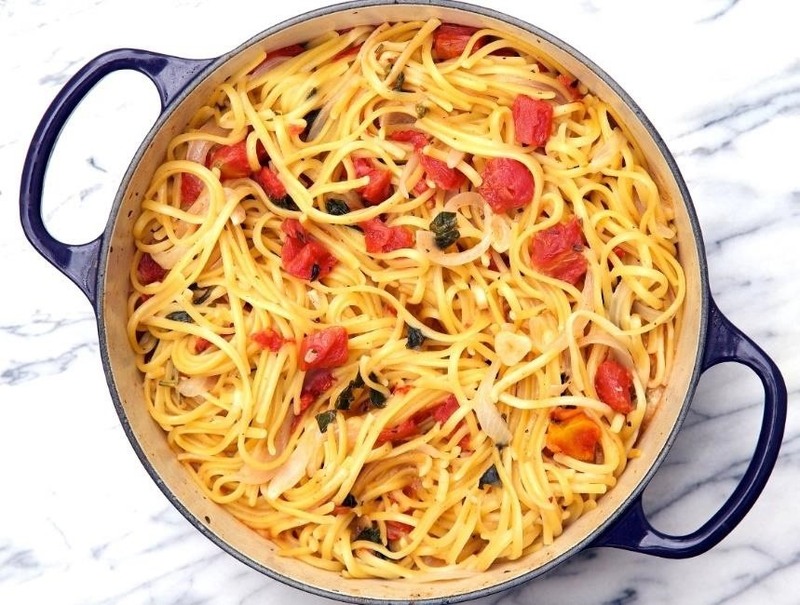 The beauty of the one-pot pasta is that it is literally all cooked in one pot. You don't even need a colander to drain the pasta because the recipes call for the pasta to be cooked until all the water is absorbed. When we drain pasta, what we're discarding is the starch. Often used in small amounts to thicken sauces, starch water has a distinct, almost sweet and gummy quality to it. It's good in small doses, but it can be overpowering. Which is why the first hack to a good bowl of one-pot pasta involves cooking with flavors that can trump the taste of starch. I decided to go with spicy andouille sausage and tomato sauce. Martha's recipe calls for four and a half cups of water. In order to boil off that much water, I knew my pasta would be cooking forever, and did I mention how I'm an al dente snob? I had to use much, much less. 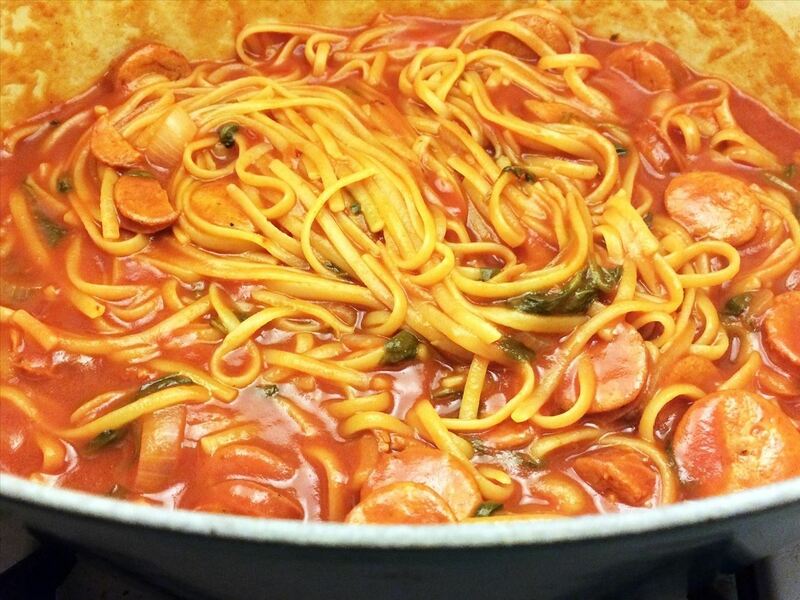 In fact, I decided to cook the pasta in a can of tomato sauce as the main liquid base so as to intensify the flavor of the final product, although I did add about two cans of water. I also added some spinach so I could pretend this was a kind of healthy meal. If you're cooking with a pasta other than spaghetti or linguine, this wouldn't be such a big deal, but I wanted a pot where I could lay my pasta flat and make sure it was completely immersed in the cooking liquid. 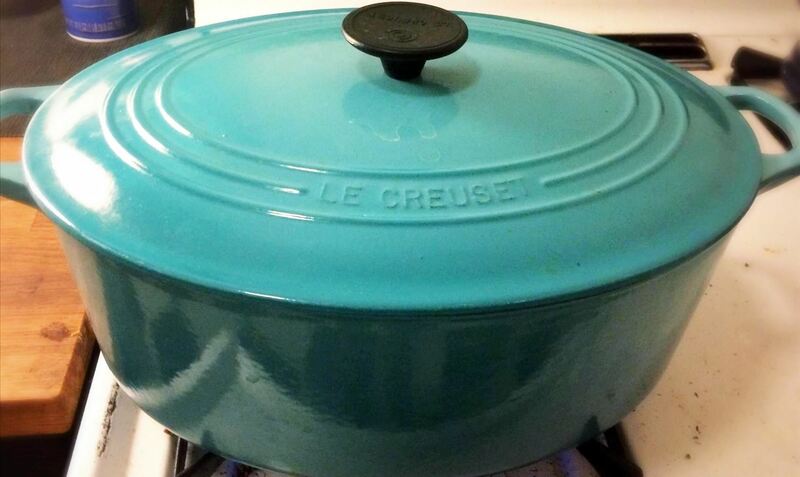 I opted for my trusty dutch oven. The other benefit to using a heavy-bottomed dish is that I was able to control the temperature and slow down the liquid from evaporating. It wasn't the best pasta I've ever had, but it was perfectly al dente and made for a very satisfying quick meal. I could still taste the starch, despite my best efforts to mask it. Even with the spicy andouille sausage and tomato sauce, there was that sweet aftertaste, which makes me realize that without those bold flavors this dish could have been pretty bad. 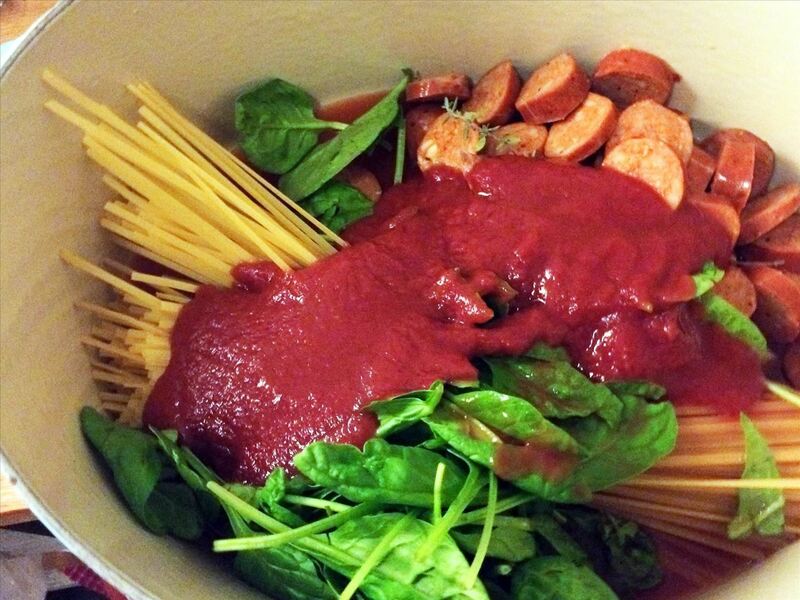 The other way to go with this dish would have been to soak the pasta to reduce its cooking time, and then merely add it to the sauce at the last minute. To really make an effort to reduce the starchy taste, the best bet probably would be to go with a low-carb pasta such as quinoa. Because it really was easy and it tasted better than a lot of meals I've eaten in my lifetime. 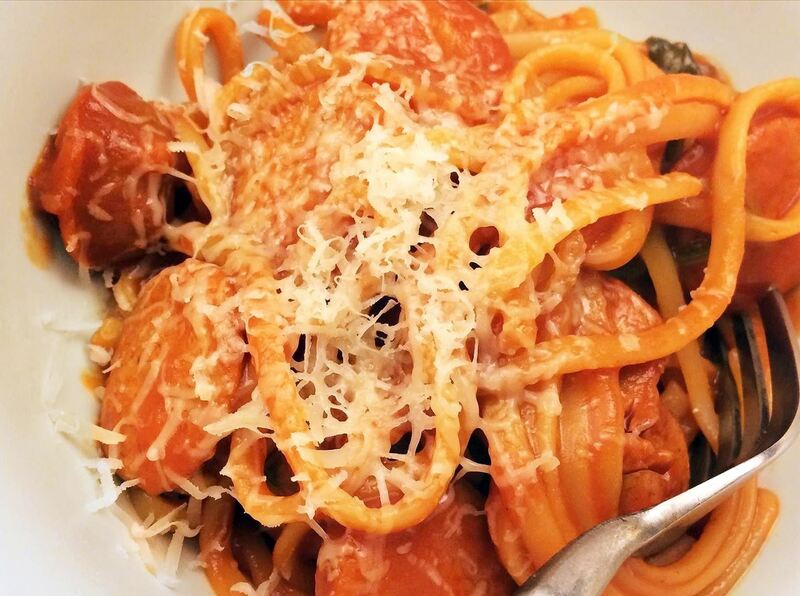 If you try your own one-pot pasta out at home, make sure to hit up the comments below with the recipe you used and the reason it tasted either good or bad. 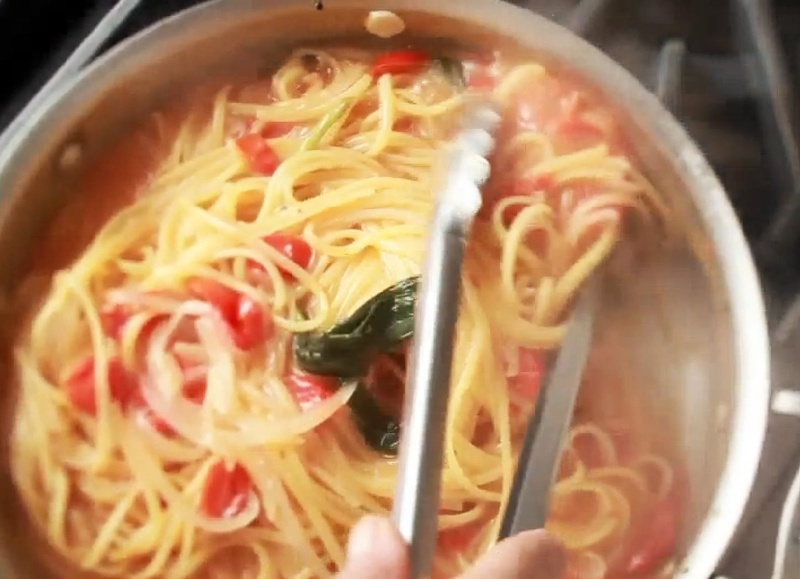 Need more fun hacks for cooking pasta? 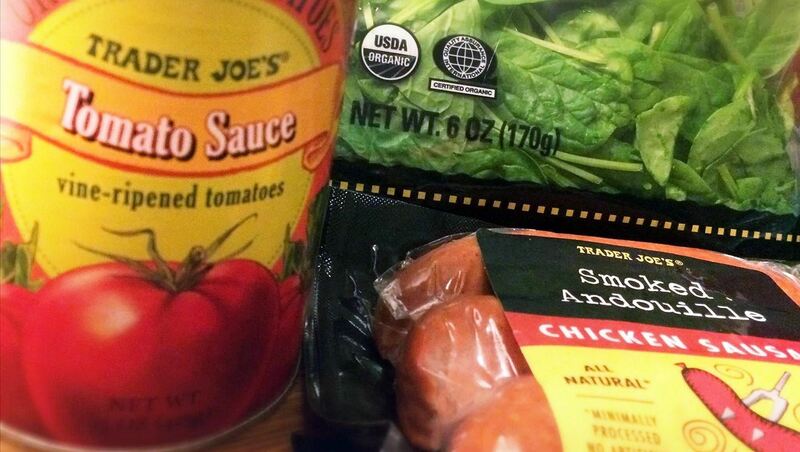 Then learn how to make bottled sauce taste like homemade, cook pasta in one minute, and make an amazing sauce using only three ingredients. OMG! I want to make this!